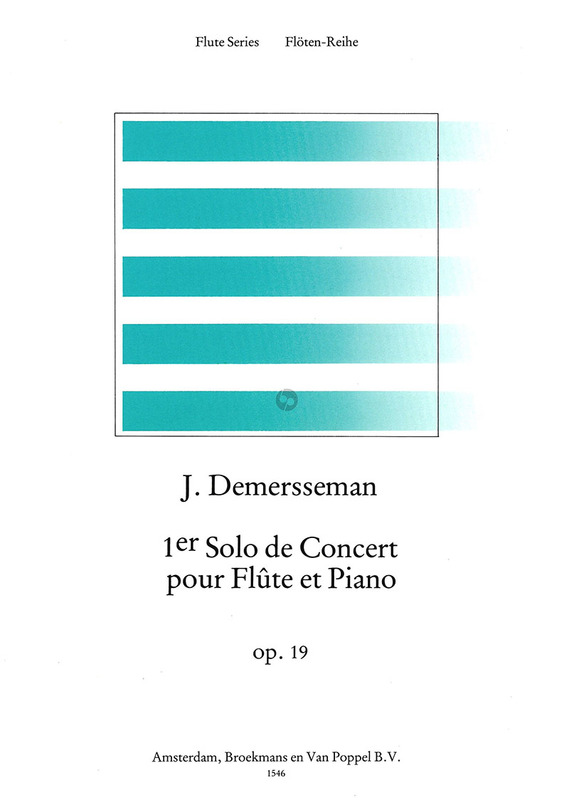 Solo de Concert No.1 Op.19 Flute-Piano – Demersseman J. 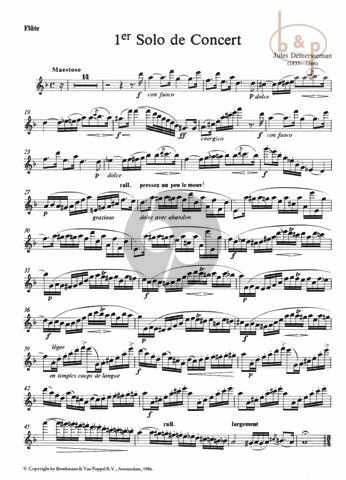 Because of his incredibly fast double-tonguing and staggering virtuosity, Paris audiences nicknamed Demersseman the ‘Sarasate of the flute’. He was one of Tulou’s pupils who remained loyal to the conic instrument, despite the new Boehm flute’s rapid rise to popularity in France. Pleasure in virtuosity is always apparent in Demersseman’s compositions, climaxing in his Solos de Concert.